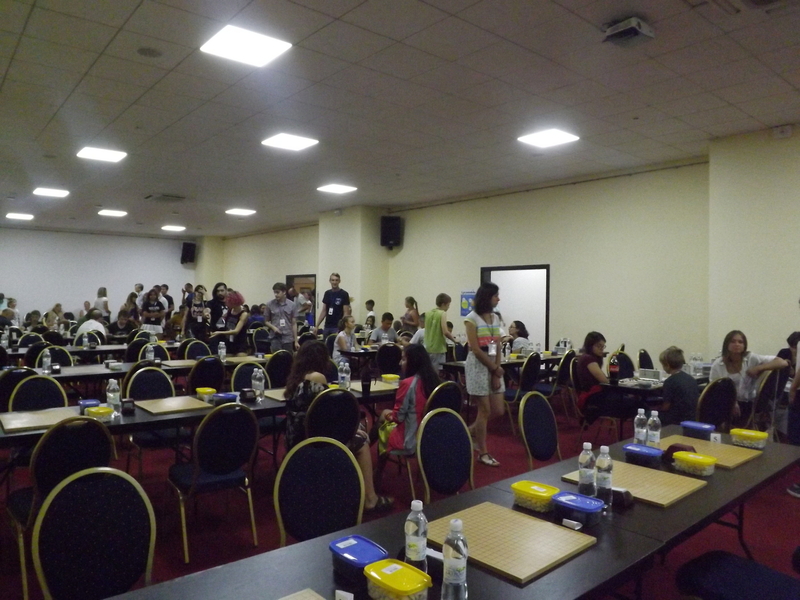 The 15th European Women’s Go Championship is finished and we can proudly present you results. There were 50 participants from 5 different countries, which was a record number of countries taking part in the tournament for last 15 years. At the same time a couple of other events took place. First of all there were “Odesa Open 2017” satellite tournament with almost 40 participants. The second event was a workshop from two European professional players, Artem Kachanovskyi and Andriy Kravets. They’ve done simultaneous game sessions, reviews and lectures for other participants. Other players had a possibility to spectate first board games using KGS server. At the beginning of the tournament, there was an obvious five leaders who had to share the prize-winning places according to their level, but because of women’s tournaments are quite bright and unpredictable, so there were unexpected results. The winner of the 15th European Women’s Championship became German Marz Manja, 3rd Dan having no defeats, while Kovaleva Natalia from Russia and Pocsai Rita from Hungary, both having a higher rank of 5th Dan, took the second and the third places accordingly. Fourth place won another Russian participant, Kalsberg Elvina, 4th Dan. The fifth place went to Tarasenko Svitlana, 2nd Kyu from Ukraine, who bypassed a few significantly stronger players from Serbia, Russia and Ukraine. The following year, the Europe Women’s Championship will be hosted by Finland. This entry was posted in Tournaments, World Tournaments by Admin. Bookmark the permalink.